ORANGE- Ronald V. “Ron” Tellier, 82, of Blodgett Street, died on Tuesday morning, January 15, 2019 at Athol Hospital. Born in Andover on April 1, 1936, he was a son of the late Herve N. and Blanche A. (Soucie) Tellier. He married Claire E. (Benoit) on November 11, 1961 and have enjoyed over 57 years of marriage. Ron was an engineer assistant for Mass Highway (MassDOT), retiring in 1998. He had briefly worked for the L. S. Starrett Company in Athol. 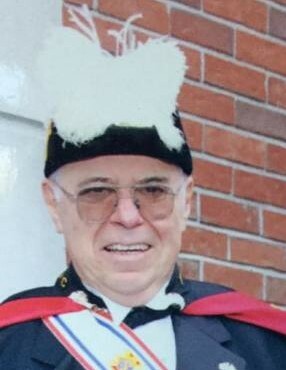 A member of Saint Mary’s Church in Orange, he served as a Lector and Eucharistic Minister. Ron was also a member of the Saint Mary’s St. Vincent De Paul Society that helped feed those in need. 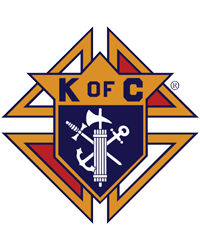 A member of the Knights of Columbus, 4th Degree, he participated in the Color Guard. Ron had served in the National Guard, was a member of the Town of Orange Finance Committee and volunteered at the Senior Center as well as offering Medical rides. Ron volunteered every spring for the North Quabbin Annual Food-A-Thon. He enjoyed fishing and hunting, playing cards and was a skilled woodworker. Survivors include his loving wife, Claire Tellier, of Orange; children, William Tellier and his wife, Nicki, of Derry, NH, Joyce Pedercini, Diane Tellier-Grasso and her husband Joseph, all of Orange, and Carol Merullo of South Sutton, NH; grandchildren, Jessica, Melissa, Valarie, Mark, Sarah, Ronald, Raymond, Russell, Thomas and Joseph; siblings, Richard Tellier, Ann Nassif and Russell Tellier; many nephews and nieces. Besides his parents, Ron was predeceased by a grandson, Matthew Pedercini on July 4, 1996, as well as a sister, Anita Naffih. A calling hour will be held on Friday, January 18, 2019 from 9:30- 10:45 a.m., at Witty’s Funeral Home, 158 South Main Street, Orange. A Mass of Christian Burial will be held on Friday, January 18 , 2019 at 11 a.m. at Saint Mary’s Church, 19 Congress Street, Orange.